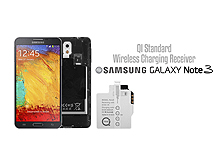 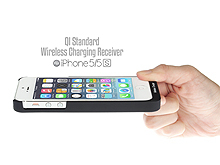 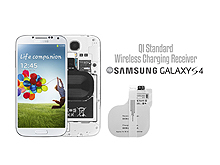 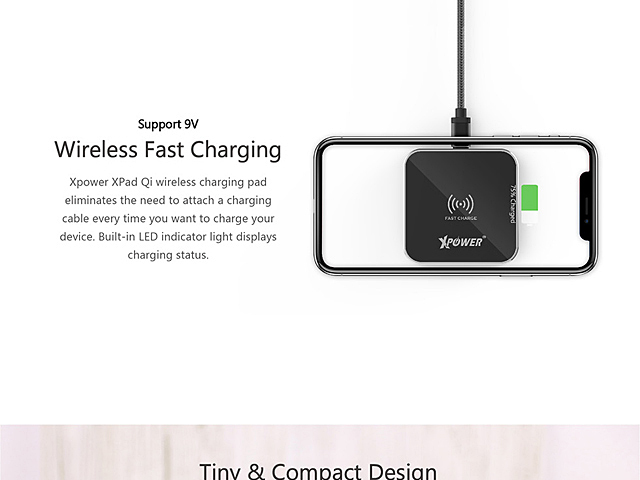 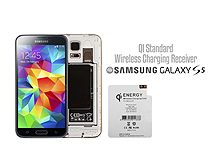 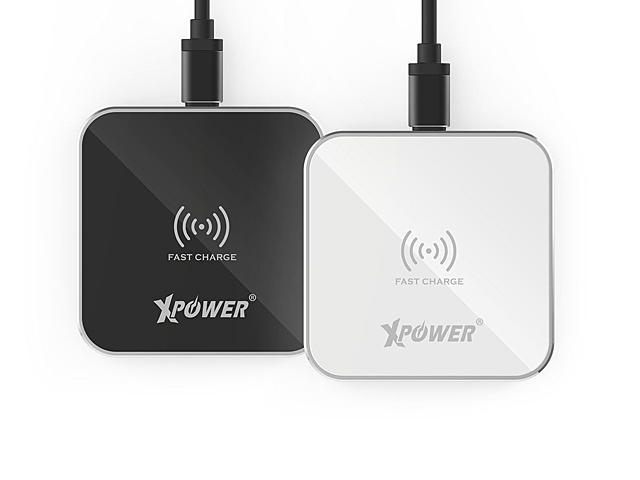 XPower XPAD 9V Wireless Fast Charging Pad eliminates the need to attach a charging cable every time you want to charge your device. 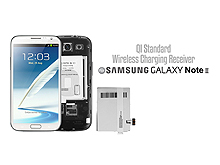 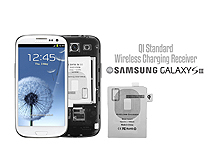 Built-in LED indicator light display charging status. 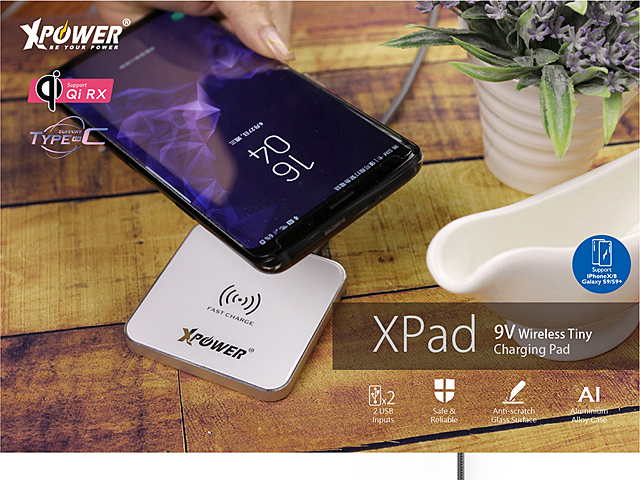 Only 8mm thick & 6.5cm length, XPower XPAD 9V Wireless Fast Charging Pad takes up a minimal amount of space and easy to transport. 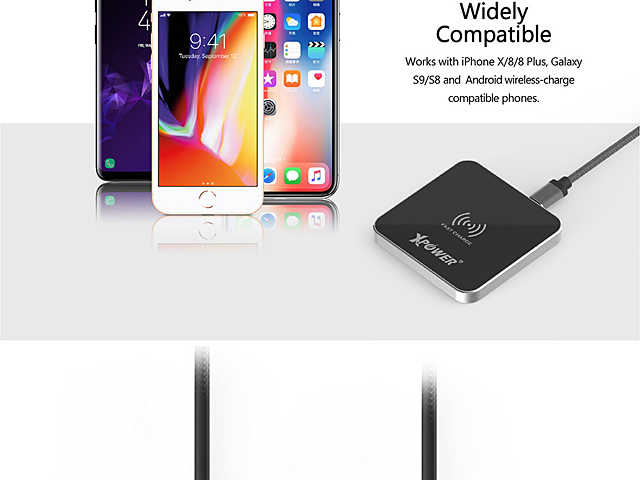 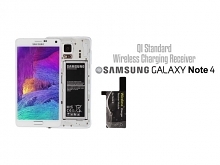 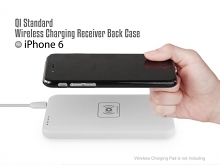 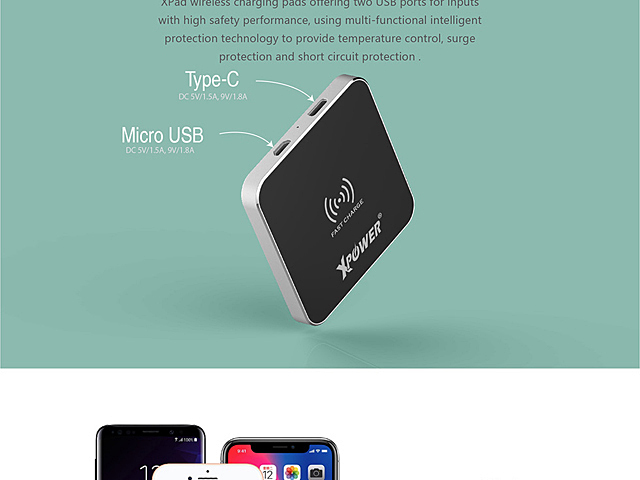 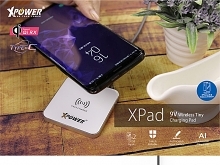 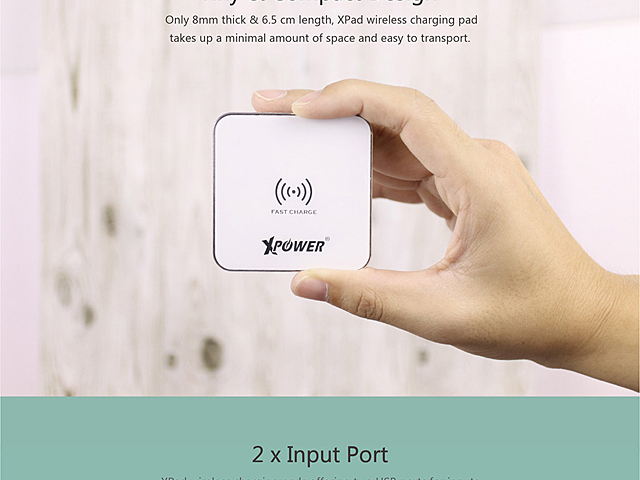 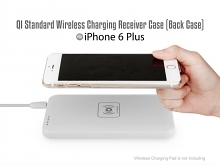 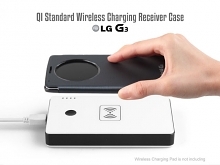 XPower XPAD 9V Wireless Fast Charging Pad offering 2 USB Port for inputs with high safety performance, using multi-functional intelligent protection technology to provide temperature control, surge protector and short circuit protection.